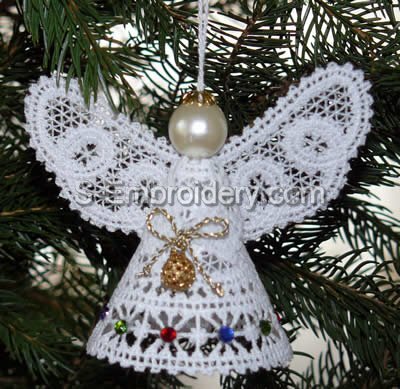 This Christmas angel machine embroidery design in Battenburg lace technique will let you create a nice 3D angel ornament for your Christmas decoration. The design consists in 2 parts. Both will fit in 4x4 hoops. 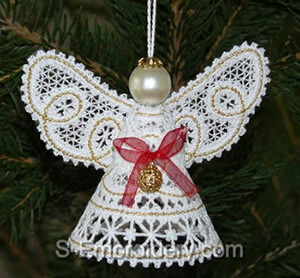 The angel is available in 2 versions (both included) - with 2 colors and with single color. You receive 4 machine embroidery files and design information/instructions in PDF format. Note: For larger images scroll down this page. See what one of our customers did with this design.